The scanning electron microscope (SEM) uses a focused beam of high-energy electrons to generate a variety of signals at the surface of solid specimens. The signals that derive from electron-sample interactions reveal information about the sample including external morphology (topography) and chemical composition of the sample. In most applications, data are collected over a selected area of the surface of the sample, and a 2-dimensional image is generated that displays spatial variations in these properties. Areas ranging from 1 inch to less than one micron in width can be imaged in a scanning mode using conventional SEM techniques (magnification ranging from 6S to over 30,000X, spatial resolution of 50 to 100 nm). The SEM is also capable of performing analyses of selected point locations on the sample; this approach is especially useful in qualitatively or semi-quantitatively determining chemical compositions (using the Energy Dispersive X-Ray Spectrometer- EDS). The SEM is routinely used to generate high-resolution images of shapes and surface details of objects (SEI) and to show spatial variations in chemical compositions: 1) acquiring elemental maps or spot chemical analyses using EDS, and 2) compositional maps based on differences in trace element. The current EDS system is available to perform light elements analysis from Carbon to Uranium. The SEM is also widely used to identify phases based on qualitative chemical analysis and/or crystalline structure. Precise measurement of very small features and objects down to 50 nm in size is also accomplished using the SEM. 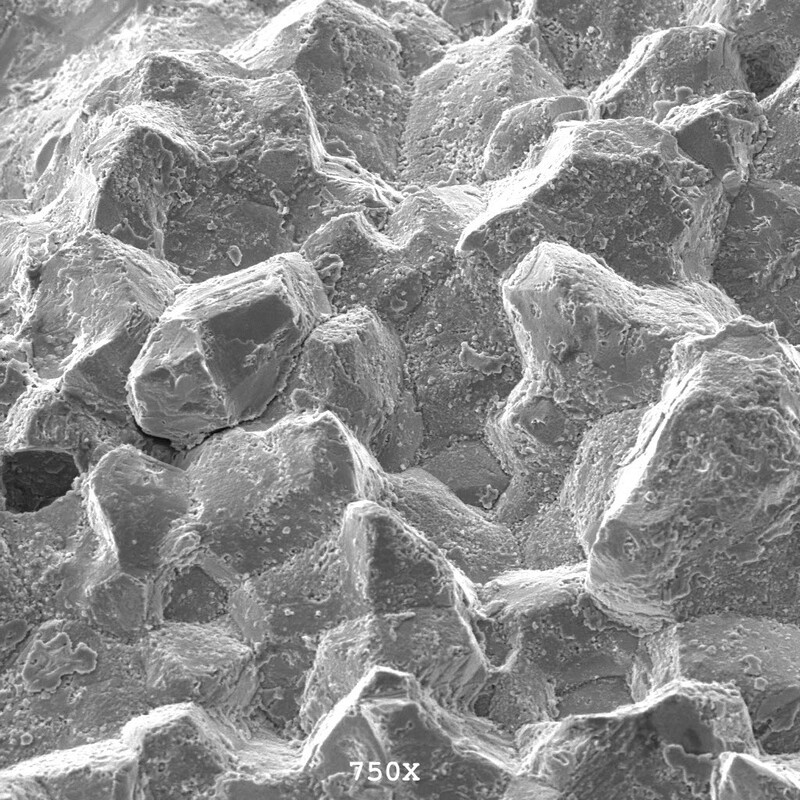 Strengths and Limitations of Scanning Electron Microscopy (SEM)? There is arguably no other instrument with the breadth of applications in the study of solid materials that compares with the SEM. 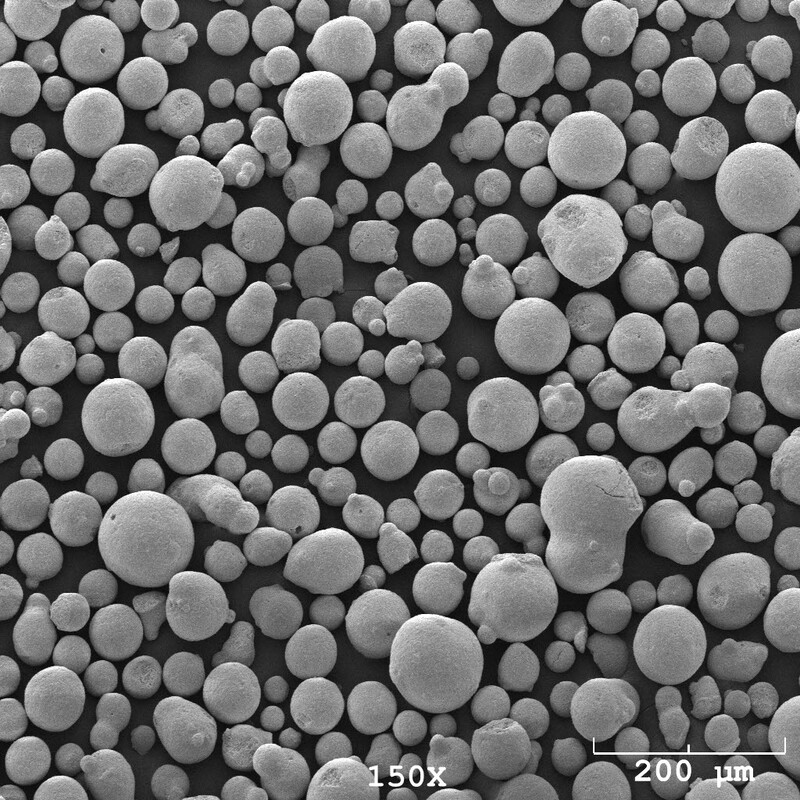 The SEM is critical in all fields that require characterization of solid materials. While this contribution is most concerned with materials sciences and geological applications, it is important to note that these applications are a very small subset of the scientific and industrial applications that exist for this instrumentation. The in house SEM can generate data in digital formats, which are highly portable. Samples must be solid, dry, and they must fit into the microscope chamber. Maximum size in horizontal dimensions is usually on the order of 15 cm, vertical dimensions are generally much more limited and rarely exceed 40 mm. For most instruments samples must be stable in a vacuum on the order of 10-7 torr. Samples likely to outgas at low pressures (rocks saturated with hydrocarbons, "wet" samples such as coal, organic materials, and samples likely to sublime at low pressure) are unsuitable for examination in conventional SEM's. 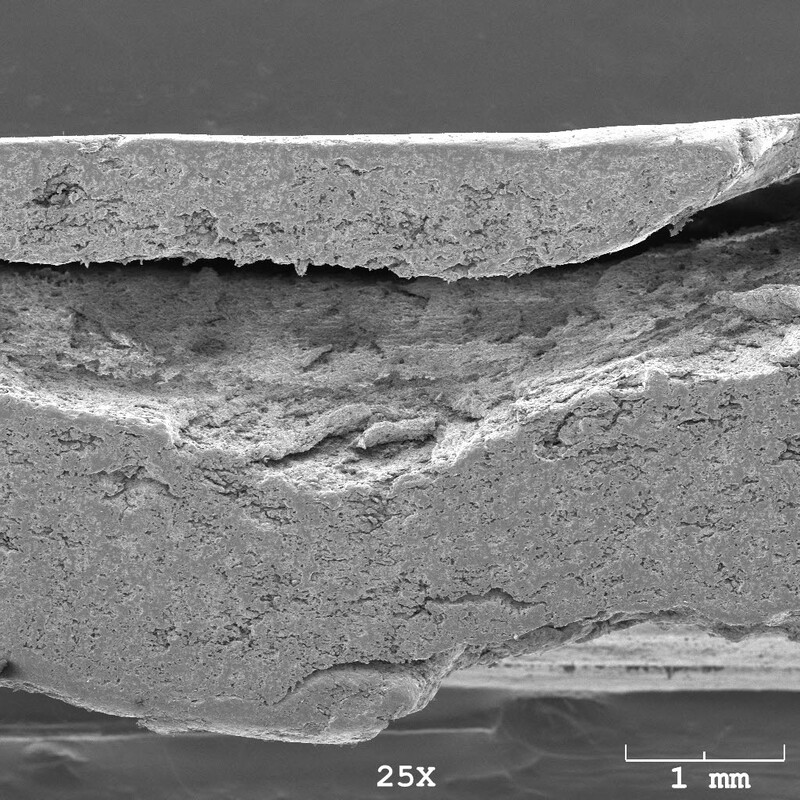 Sometimes an electrically conductive coating must be applied to electrically insulating samples for study in conventional SEM's.